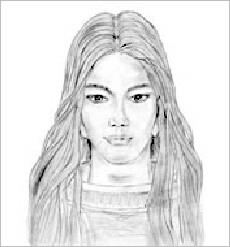 Artist representation of Semjase who Exo-scientists indicate is a Pleiadian woman. Reference: Billymeier.com. Collaborative research from a gathering of exo-scientists postulate that there are genes from over 20 extraterrestrials civilizations in Human DNA. These exo-scientists have continued the work of Nobel Prize winner Dr. Frances Crick, and other scholars in this area. Current findings are consistent with reports of Professor Sam Chang, who discreetly released information on his own apparent findings, in association with the Human Genome Project. Scientists are beginning to complain more and more about political attempts to compromise the integrity of their important work for humanity. The discreet releasing of findings, is one apparent way in which scientists try to cope with scientific peer pressures to conform to prevailing political pressures. Details of findings have been published in part, by Dr. Michael Salla, who is a learned scholar on extraterrestrial research. Exo-scientists and other researchers base their findings, in part, on carefully collecting data, which includes well corroborated documented observations by contactees and “whistleblowers”, as well as other documentation. These verified reliable sources have come into contact with representatives of non-Earth Human civilizations living in human populations at-large, and also in official capacities. 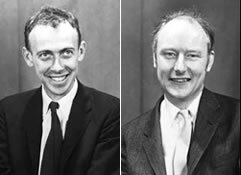 Francis Crick and partner, James Watson, startled the academic world in 1953 when they deciphered the structure of the DNA molecule. “Exo-science” is the study of extraterrestrial phenomenon. “Exo-science” is further associated with “exopolitics” which embraces the need for humanity to have open contacts with Extraterrestrials on a representative democratic basis, that respects Earth’s sovereignty. In today’s “global economy” an “official science” which denies the analytical study of spiritual phenomena, as a legitimate context for understanding human reality, has been created over time. The “science” which is legitimated by institutions that are closely linked to this “global economy”, tends to seek to analyse only certain aspects of ‘materiality’. Priorised subjects by this “official science” are limited to areas which complement the agenda of constituencies of individuals who seek to manipulate the “recognized” body of human knowledge for power and control. That scientific priorisation context, has notably sought to exclude extraterrestrial relationships to humanity, in order to keep humanity ignorant of its apparent potential “locked” heritage within its own DNA. Dr. Francis Crick concluded Extraterrestrial orgins in the Human Genome, in relation to his well renown DNA research. Indeed, efforts to seek a scientific context for the appreciation of spiritual phenomena, has also been frowned upon by the elites of institutionalized religions, which like “official science”, seek to control humanity within systems of accepted doctrine and dogma. Collaborative exo-scientific research efforts inspired by Dr. Michael Salla, suggest that within the estimated over 20 types of extraterrestrial genes within human DNA, lies psycho-kinetic abilities associated with the genetic memories of ancient extraterrestrial races. These apparent psycho-kinetic abilities are associated with the focusing of the creative collective consciousness of be-ing in the universe. These psycho-kinetic abilities, for example, could be viewed to manifest from time to time, when human beings in the process of trying to save another life, for example, have been recorded as executing, “great physical and other acts” which seem to go beyond the realm of understanding by “official science”. The recorded healing abilities which individuals, for example, in aboriginal communities across the world have demonstrated in relation to their spirituality, which had also been recorded of Jesus, could be viewed to be associated with accessing this DNA “memory”. “Official science” which seeks to complement the interests of various companies who seek to commercially profit from drugs and other therapies, has apparently sought to deny the awesome potentials of humanity for an elevated quality-of-living, by accessing an apparent E.T. DNA memory. Does Earth represent a genetic frontier, to some Extraterrestrials? There have been eyewitness accounts globally, including the broadcasted video footage of professional broadcasters, by millions of people of apparent extraterrestrial spacecraft. Exo-scientists indicate that this is because “these Extraterrestrials have sought to observe, or intervene on Earth, as a result of human beings having the genetic footprints of their ancient forbearers.” It is important to note that exo-scientists do not claim that all extraterrestrials observed by humanity, do so because of a genetic association with humanity, although “genetics” is a reported prime motivation. Earth, therefore, appears to represent a “strategic genetic frontier”, between scientifically ascertained extraterrestrials who “seeded”, Earth, and other extraterrestrials with varying genetic agendas. Exo-scientists indicate that ‘ethical’ Extraterrestrials inspired the communalistic and environmental protection oriented philosophies of Native-Canadian, African, and other tribes. 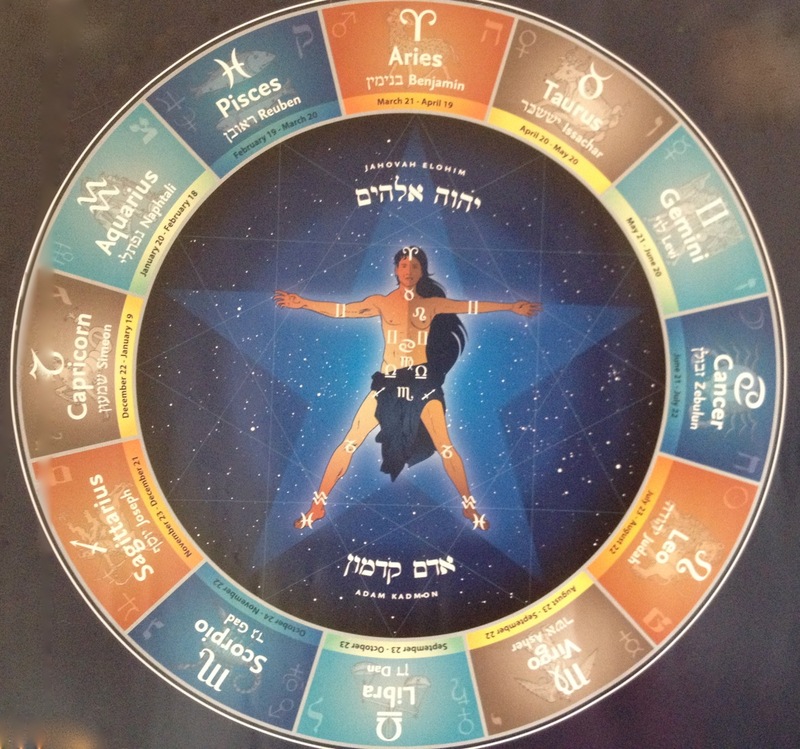 The knowledge of astrological facts within diverse tribal communities is associated with claims of extraterrestrial contact long before modern astronomy, further corroborates exo-scientific claims of evidence of extraterrestrial contact in Human DNA. Aboriginal tribes in the Americas, Africa, and elsewhere embraced the “animistic” spirituality of the original reported spiritually and technologically advanced human and other extraterrestrials who “seeded” Earth. These tribes were apparently inspired by original constituents of human and other extraterrestrials to be custodians of “Mother Earth”, and to live in harmony and balance with nature. Exo-scientists suggest that subsequent interventions on Earth by other extraterrestrials, largely sought to manipulate Earth humans genetically, technologically, and also by dysfunctionally inspiring religious dogma, and accompanying rituals. Apparently, these extraterrestrials performed ‘great feats’ in order to be worshipped as ‘gods’. The reported next step was to provide technology to these Earth humans so that these humans could create impressive looking “rich” structures of religious worship, laid with gold and other mined mineral resources, of religious worship to these extraterrestrial ‘gods’. This corrupting of human spirituality, would further dysfunctionally inspire crass materialism. This apparent influence is shown in structures which include the Great Pyramids, Temples, and into other religious structures which include Churches. Dr. Salla’s and other exo-scientific work, further attests to this milieu. These religious structures became centres in the creation of competing rituals and dogma between different “E.T. cult” groups. As these religious structures became of increasing importance as centres of communities, bigotries in turn, were cultivated by the elite emissaries of the manipulative “Extraterrestrial gods” and were used to successfully pit one group of humanity against the other. According to collaborative exo-scientific research, led by Dr. Salla, alleged manipulative E.T. groups provided Earth Humans with advanced technology, to further instil an agenda of control against willing Earth elites, who were indoctrinated by these “gods”. The creation of technology would also be used to inspire the creation of weapons of war, in which wars would be waged in the name of defending “religious” systems, in turn guided by Extraterrestrial “gods” who sought to “divide and rule”. The manipulative Extraterrestrials sought to create false gods in their own image. Notwithstanding this, ‘ethical Extraterrestrials’ according to representation by contactees, abide by strict “Galactic community” directives of non-interference on Earth, including the non-execution of “genetic experiments”. However, Exo-scientists indicate that the “crop circles” phenomena is a notable example of mostly “ethical Andromedans” seeking to inspire humanity in the form of crop circle messages. Modern Earth Human DNA therefore reportedly has the genetic memories which are associated with origins of Humanity in the universe as part of a diaspora of “over 130 billion human beings”, and a subsequent millennia of uncoerced biological contact, and also the coerced biological experimentation with a mix of Extraterrestrials. These are some of the understandings at which one arrives, as a result of the pioneering work of some diligent researchers. These researches notably includes Francis Crick. DNA Double Helix illustrated in one of Dr. Francis Crick’s book. “The likelihood of the formation of life from inanimate mater is one to a number with 40,000 noughts after it…. It is big enough to bury Darwin and the whole theory of evolution. There was no primeval soup, neither on this planet nor on any other, and if the beginnings of life were not random, they must therefore have been the product of purposeful intelligence.” (Hoyle: 1981, 294:148). Dr. Hoyle opted for a kind of pantheistic intelligence that created life spores in other parts of the Universe, with these spores ultimately drifting to Earth to begin life as we know it. Because of the tremendous (and impressive) complexity of life-and the obvious design behind it — other scientists who challenge “official science” supported by political elites, are beginning to endorse this conclusion as well. Leslie Orgel, one of the well-researched heavyweights in origin-of-life experiments, is also on record as advocating this scientific position (1982, pp. 149-152). Like the issue of Global Warming, and on-going Ozone Layer depletion, non-dogmatic scientists have blamed political elites for ignoring clear evidence of the Non-Earth origins of human beings. Dr. Francis Crick was one of the two scientists who discovered the structure of DNA during the 1950s. Certainly an important discovery in the history of science, this came after lengthy research and a great pooling of information and expertise. Crick won the Nobel Prize for his work. Dr. Crick applied the same rigorous disciplinary standards to his Extraterrestrial origins findings. In his book Life Itself, Dr. Crick said that creatures from another solar system brought the seeds necessary for life to lifeless planets and, thanks to their kind intervention, life began here. Nobel Laureate Dr. Crick’s work, is consistent with the apparent findings of “Professor Sam Chang” of the Human Genome Project, who has been credited for seeking to release scientific findings concerning evidence of Extraterrestrial contact in Human DNA. Dr. Michael Salla, and other associated extraterrestrial researchers make representation that our universe was born as an expression of a “collective consciousness”. Dr. Michael Salla specifically documents that ‘black holes’ were an entry point for beings and other entities who came together to spawn our universe. Furthermore, Dr. Salla’s exo-scientific documentation also indicates that these beings and other entities, sought to inspire ‘the universe’ into existence, as an ‘experiment’, based on principles of “Free Will”. That is to say, all beings and other entities are represented as having sought to be a part of the genesis of ‘the universe’ without any coercion. The collective consciousness of the universe is deemed to have manifested in the thoughts, feelings, and sensations of be-ings, who spawned ‘the universe’. Therefore, the universe would expand as an expression of this consciousness. Exo-scientists indicate that the Pleiadians are from a star system called Pleiades. This star system is a small cluster of seven stars located in the Constellation of Taurus the Bull. This star system is a small cluster of seven stars located in the Constellation of Taurus the Bull; it is 500 light years from planet Earth. Exo-scientists claim that Pleiadians are a humanoid race that visits Earth often and whom exo-scientists also claim we share a common ancestry. Billy Meier indicates that he maintains contacts with the Pleiadians. He has provided corroborated evidence of having extraterrestrial contact to scientists. Mr. Meier indicates that ‘Pleiadians’ call themselves Plejaren (pronounced pleh-yar-en) according to their system, which bears the name Plejaren. Reference:Burlingtonnews.net, and Galactic-server.net. 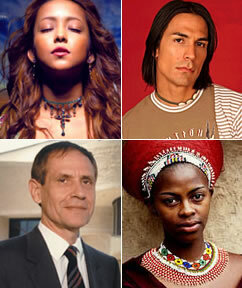 Many African tribes have linked their origins with Lemuria. The critical exo-scientific study of the universe, thus requires a holistic sensitivity to contexts of analysis associated with consciousness, which has been divested from “official science”. Therefore, prevailing scientific paradigms on Earth retard the body of human knowledge from a full appreciation of the complexity of human experiences, in the broader context of the universe. If spirituality is indeed a real phenomenon in the universe, then a critical context for science must endeavour to appreciate it, into a potential integral part of human knowledge and understanding. Exo-scientific research testifies to Earth Humans having originated in the Lyra system of the universe. Lyrans apparently grew into Sirian, Arcturian, Antarian, Pleaidian, Andromedan, Cignus Alphan, Alpha Centauri, Sagittarius A & B, and Cassiopia. Photo of Pleiadian spacecraft that Billy Meier had examined by apparently confounded, and formerly sceptical scientific reseachers. Reference: Billymeier.com. “Comprehensive investigations by a number of individuals and organizations found that Meier’s evidence was not fabricated and therefore constituted significant support for his testimony of extraterrestrial contact.” Dr. Salla, and other researchers document. Due to the amount of physical evidence he had provided over the years, Meier has gained great credibility, and the consistency and coherence of his testimonies suggest that he is indeed an important spokesperson for an extraterrestrial race. Exo-scientists claim that the Pleaidians are our far distant first cousins and ancestral forbearers of some of our races. 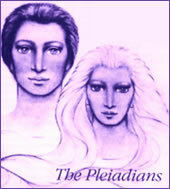 The Pleaidians are also descendants of the Lyrans who came from Lyra in spacecraft. The Lyrans would send down scout teams consisting of scientists and engineers and agricultural specialists to explore the surface of possible habitable planets and to explore them and return data and information to the mothership. One of these planets apparently included Earth. Each planet was explored and based upon its unique nature, colonies were then sent down to settle. It is in this way that the Pleaidians are so interested in our world and humanity on Earth. Exo-scientists claim that Pleaidians have been visiting Earth for at least 79,743 years. “As the human race fragmented in the universe, genetic clusters of humanity moved, travelled, and settled many different planets in many systems as space travel evolved. Humans became aware of other planetary civilizations in these systems. Different cultures meet and grew. Belief systems clashed or spread. New thoughts of philosophy or technologies came into being. Humanity was evolving. A very strong social community developed between all in the Lyra System. Exo-scientists also further testify that “The Lyrans were a very peaceful race on the whole,” Dr. Salla and associated exo-scientists further document. These particular communities of Human Extraterrestrials represented themselves to exo-scientists as having economic systems that “were not in service of self,and having a community-ethic “beat as one heart, and shared and moved in the same direction as a whole and would try to make sure that none of their race would lag or fall too far behind the whole.” In other words, “The needs of the many, out weigh the needs of the few.” They were an incredible role model for all humanity that followed to this present moment. Earth scientists who have sought to collaborate with the prevailing capitalist system of selfishness and greed, inherited by manipulative Extraterrestrials, would not seek to make humanity aware of such a cultural-genetic lineage. In the view of these scientists who have been co-opted from the dogma of political economic power, such awareness would inspire Earth humans into alternatives to capitalism, which would better facilitate their pursuit of an elevated quality-of-living for all. Such Establishment scientists are not genuine searchers for critical information, but instead seek to spread a disinformation agenda. They have also been deployed to execute an apparently useful tactics by manipulative extraterrestrial “gods”. “The Pleaides is an open star cluster consisting of 254 stars and many times that planetary bodies. Many of the stars are very young. This is located in the constellation of Taurus”, exo-scientists say. Three of the star systems have human life as we know it, the most advanced is the system of Taygeta. And the other is the system of Taro which circles Alcyone. Most of the Pleaidians look like us in both size and stature, build, colour of hair, and in other ways. Exo-scientists indicate that Pleaides life spans specifically also apparently far exceed human beings on Earth. Pleaides technology has made it possible to travel anywhere in our Universe at speeds faster than the speed of light. “They are capable of using the Earth’s oceans for undersea operations,” Dr. Salla documents, in association with other extraterrestrial researchers. All Earth’s languages are derived from an ancient Pre-Sumerian language which Exo-scientists report “was spoken in Lyra and in the Pleaides. The Pleaidians as well as other groups have left descendants on the Earth in the past.” They have said they are willing to help us but not to the point of changing our own evolution and then therefore becoming responsible for us as a race. They say we create our own future as we go, and that we need to correct our own mistakes ourselves or suffer because of them. The original Lyran extraterrestrials who apparently “seeded” Earth, were inspired by a consciousness associated with a spirituality, that grounded their sciences into humanistic dimensions of service to the “greater good”, in contrast with elite-driven greed on Earth. Lyrans apparently refer to the collective consciousness of love, peace, and wisdom which inspired the universe as the Isness (G-d). The “worship” of the Isness (G-d) is silent and solitary; free from all self seeking. There are no priests nor “saviours” authorized to come between a human being as a ‘soul’ and our collective consciousness in the universe. In the Lyran documented existential context, “each experience is personal, different than another and should not in any way be meddled with or judged. Each soul should become conscious of the divinity that is itself. “The Lyrans sought to create no shrines, no temples except nature itself, and the process of humankind caretaking nature, as an infinitely spiritual exercise of being. Be a real, natural, human beings,” Dr. Salla and other colleagues document. In the Lyran system of social ethics and spirituality, real faith may not be formulated in creeds, as have been taught by manipulative extraterrestrials who have sought to condition humanity as servants associated with systems of repressive dogma. These Lyrian social ethics apparently include according the alleged representations between Adromedans and Alex Collier, the rejection of “saviours”, and “messiahs” who have been used by “manipulative ETs to undermine the vital sense of social and environmental responsibility among Earth humans, for each other. The apparent idea in the undermining system, was to get Earth humans to throw their arms in the air waiting to be saved or liberated by a saviour, as elites oppressed and pillaged. 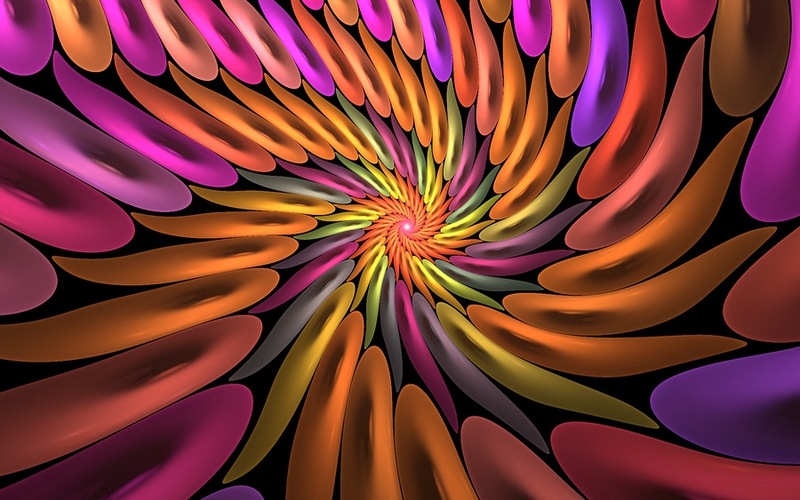 “In the Lyran apparent scientific appreciation of our universe the “Isness” as the expression of the collective consciousness of the universe, is only interested in your intent, the path of your heart,” Dr. Salla also documents. A civilization of beings can, for example, choose a relative path of evolution associated with an affirmed quality-of-living for all, accompanied with spiritual renewal, or pursue a ‘regressive’ “de-evolutionary” path of greed, and oppressive power, as Earth’s elites, which eventually results in self-destruction. Indeed, The work of Erich von Däniken and former NASA research consultant and scientist Richard C. Hoagland reveals definitive proof of apparently self-destroyed civilizations on Mars. The surface of Mars shows Great Pyramid structures similar to Earth. Humanity on Earth realising potentials for elevating quality of living from a course of on-going self-destruction, can be potentially achieved by OUR coming to grips with apparent evidence of Extraterrestrial contact in Human DNA. Humanity on Earth apparently needs to vitally re-integrate spirituality as a component in the scientific appreciation of the universe, that in turn, is vital to “unlock” the hidden potential for an elevated quality-of-living. Humanity on Earth, also apparently needs to use the core spirituality of its own be-ing, to overcome any genetic contact with apparently competing manipulative interests, who according to Dr. Salla and other colleagues, have sought to sabotage human potential. Human Development and the Quality-of-Life, ISBN: 1897035353; Quantuum Economics: Wage Slavery or the Quality-of-Life, ISBN: 1894839609; andCapitalism is Not Democracy, Part I, ISBN: 1894934636; Babylon and Beyond, ISBN: 9780745323909. Get these books from The Canadian National Newspaper Book Café. Humbling was the prevalent adjective used by the scientific teams and the media to describe the principal finding that the human genome contains not the anticipated 100,000 – 140,000 genes (the stretches of DNA that direct the production of amino-acids and proteins) but only some 30,000+ — little more than double the 13,601 genes of a fruit fly and barely fifty percent more than the roundworms: 19,098. What a comedown from the pinnacle of the genomic Tree of Life! Moreover, there was hardly any uniqueness to the human genes. They are comparative to not the presumed 95 percent but to almost 99 percent of the chimpanzees, and 70 percent of the mouse. Human genes, with the same functions, were found to be identical to genes of other vertebrates, as well as invertebrates, plants, fungi, even yeast. The findings not only confirmed that there was one source of DNA for all life on Earth, but also enabled the scientists to trace the evolutionary process how more complex organisms evolved, genetically, from simpler ones, adopting at each stage the genes of a lower life form to create a more complex higher life form culminating with Homo sapiens. It was here, in tracing the vertical evolutionary record contained in the human and the other analyzed genomes, that the scientists ran into an enigma. Thehead-scratching discovery by the public consortium, as Science termed it, was that the human genome contains 223 genes that do not have the required predecessors on the genomic evolutionary tree. How did Humankind acquire such a bunch of enigmatic genes? In the evolutionary progression from bacteria to invertebrates (such as the lineages of yeast, worms, flies or mustard weed which have been deciphered) to vertebrates (mice, chimpanzees) and finally modern humans, these 223 genes are completely missing in the invertebrate phase. Therefore, the scientists can explain their presence in the human genome by arather recent (in evolutionary time scales)probable horizontal transfer from bacteria. 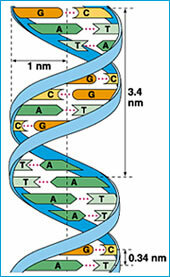 The human genome is made up of about three billion neucleotides (the letters A-C-G-T which stand for the initials of the four nucleic acids that spell out all life on Earth); of them, just a little more than one percent are grouped into functioning genes (each gene consists of thousands of “letters”). The difference between one individual person and another amounts to about oneletter in a thousand in the DNAalphabet. The difference between Humankind and Chimpanzee is less than one percent as genes go; and one percent of 30,000 genes is 300. An analysis of the functions of these genes through the proteins that they spell out, conducted by the Public Consortium team and published in the journalNature, shows that they include not only proteins involved in important physiological but also psychiatric functions. Moreover, they are responsible for important neurological enzymes that stem only from the mitochondrial portion of the DNA the so-called “Eve DNA” that humankind inherited only through the mother-line, all the way back to a singleEve. That finding alone raises doubt regarding that the “bacterial insertion” explanation. Unless further scientific research can establish, beyond any doubt, that the only possible source of the extra genes are indeed bacteria, and unless it is then also determined that the infection (horizontal transfer) went from bacteria to Man and not from Man to bacteria, the only other available solution will be that offered by the Sumerian texts millennia ago. Until then, the enigmatic 223 alien genes will remain as an alternative and as a corroboration by modern science of extraterrestrial civilizations, and their apparent genetic participation in the Human Genome. How sure are the scientists that such important and complex genes, such an immense human advantage, was obtained by us — rather recently– through the courtesy of infecting bacteria? It is a jump that does not follow current evolutionary theories, said Steven Scherer, director of mapping of the Human Genome Sequencing Centre, Baylor College of Medicine. We did not identify a strongly preferred bacterial source for the putative horizontally transferred genes, states the report in Nature. The Public Consortium team, conducting a detailed search, found that some 113 genes (out of the 223)are widespread among bacteria though they are entirely absent even in invertebrates. An analysis of the proteins which the enigmatic genes express showed that out of 35 identified, only ten had counterparts in vertebrates (ranging from cows to rodents to fish); 25 of the 35 were unique to humans. It is not clear whether the transfer was from bacteria to human or from human to bacteria, Science quoted Robert Waterson, co-director of Washington University’s Genome Sequencing Center, as saying. But if Man gave those genes to bacteria, where did Man acquire those genes to begin with? 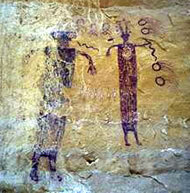 Zecharia Sitchin concludes that Human Genome was manipulated by Extraterrestrials. Reference: Original report documented by the Public Consortium is in Nature, Feb 15, 2001 and of Celera Genomics in Science of Feb 16th, 2001. On 14th September 1994, a UFO streaked across the sky over Southern Africa. Two days later, something landed in a schoolyard in Ruwa, Zimbabwe, with three or four things beside it, according to investigator Cynthia Hind. 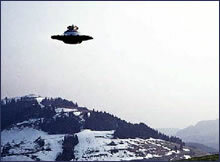 The primary witnesses were 62 schoolchildren, who had little or no exposure to TV or popular press accounts of UFOs. Cynthia Hind interviewed them the day after the encounter and made them draw pictures of what they had seen. Below is one actual photographs of what the children drew and some of their statements. OTHER PHOTOS. The door opened, and a little man go out that had on a black suit. He was very slim, and the suit was black. It was silver and the ring around it was red… lights along the edge. I saw one over here, they had eyes like that. They were kind of, like, looking at us. They were, like, kind of astonished. 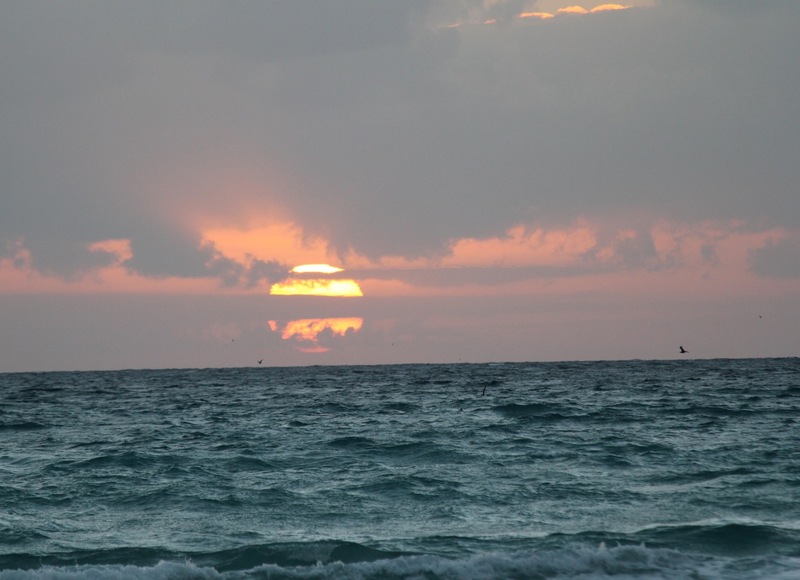 Many of the children received the same telepathic message from the beings…. to take care of the planet or civilization will be doomed. 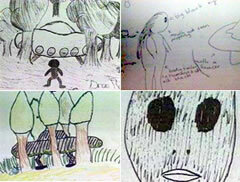 Zimbabwean children witnessed UFO together.